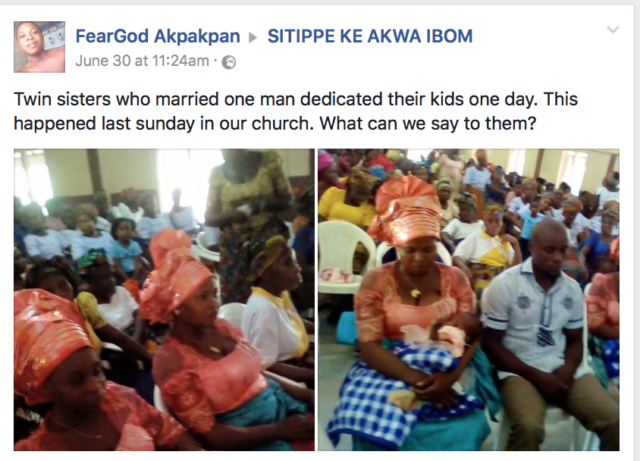 A Facebook User made this shocking announcement of twin sisters who married a man, bore him offsprings and still dedicated their children on the same day. Twin sisters who married one man dedicated their kids one day. 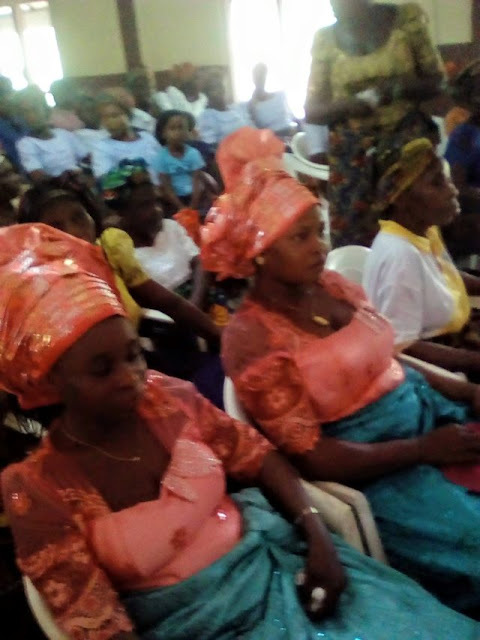 This happened last sunday in our church. What can we say to them? 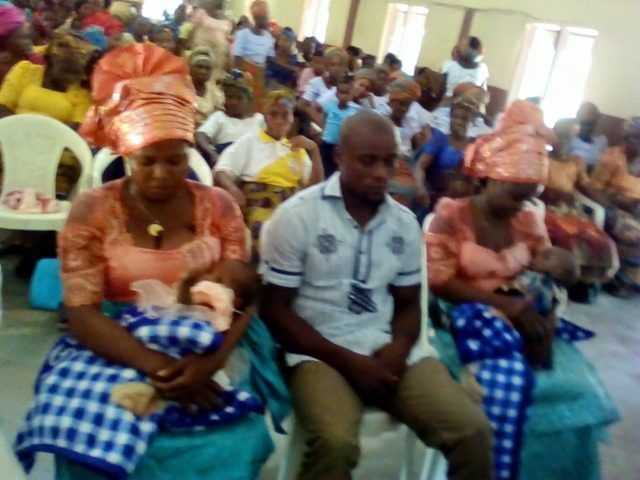 The children’s dedication took place at Christian Evangelistic Church, Ikpe Akpa Ewe, Akwa Ibom State.